Buy ANBU Legacy a Coffee. ko-fi.com/anbulegacy - Ko-fi ❤️ Where creators get paid by fans, with a 'Buy Me a Coffee' button. ANBU Legacy is a collaborative serial novel based on the world of Naruto, focused on the young men and women of ANBU. Set in the fifth year of the Yondaime's reign, it takes place in a Konohagakure where the the fourth Hokage defeated the Kyuubi—and lived. br/br/Legacy is the creation of writers Nezu, Ki, and DK, with editor Aubrey. If you’ve ever wanted to buy us a coffee or other hot beverage of choice, this is your chance! Your donation will help fund artwork for the ebooks, offset site running costs, and fuel us with ramen, daifuku, and tanuki sake at the next ANBU Legacy Writer's Retreat. 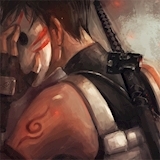 As always, the content on ANBU Legacy, including the ebooks, is free. Secured Payments. Support goes to ANBU Legacy's account. Upgrade ANBU Legacy to a yearly Gold Membership with a one-time payment.